ZESCO today look set to put aside their CAF Championship misery they suffered last week at the hands of Morocco’s Wydad Casablanca when they take on Red Arrows in a rescheduled FAZ/MTN league match to be played at the Levy Mwanawasa stadium. With four games in hand due to continental commitments and 12 points up for grabs, the power utility-sponsored outfit will be looking to erase bad memories of their failure to take command of Group A in CAF when they turn their attention to the local league where they are 12 points adrift of the log leaders Zanaco. The Zambian champions will need to be at their best to keep the Arrows strikers at bay and will bank on its strong defence which has only allowed five goals in 13 matches the team has played and so far seems to have the best defence in the league. George Lwandamina’s boys would also be looking for inspiration from their prolific forward Jesse Were who was the current top scorer in the league with 10 goals. Arrows have allowed 12 goals this season while the team was still engulfed in a scoring difficulty having only found the back of the net 10 times so far in 16 games, accumulating 20 points from a possible 48. Meanwhile, the FAZ/MTN league is on recess with Zanaco leading the table on 40 points having won 12 games, drawing four and only losing one by mid-season break. The bankers have scored 35 times and only conceded six goals but ZESCO still have the chance to draw level by the resumption of the league if they could win all their four games in hand. Zanaco’s strength this season had been its resolute defence that had only allowed six goals to become the second best team after Zesco. 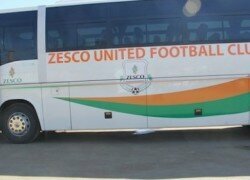 Zanaco will be praying for a stuttering performance by Zesco in its games in hand as the main contender for the league championship despite being third on the log due to Nkana’s inconsistency especially against big teams and will be hoping to be league leaders in the second half of the league.